Since this will be a printed field guide I can't include URLs but I can raise questions and concepts readers should be knowledgeable about and identify the people or sources that could provide more information. 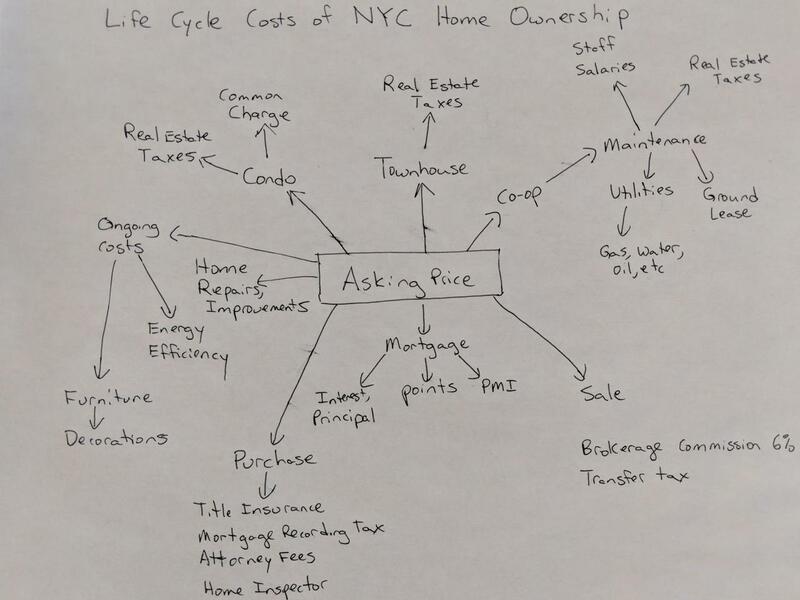 For example, a reader can easily Google "nyc mortgage tax" and find out necessary details relevant to their situation but readers won't do that if nobody tells them that a "mortgage tax" is a thing that is relevant to this process. 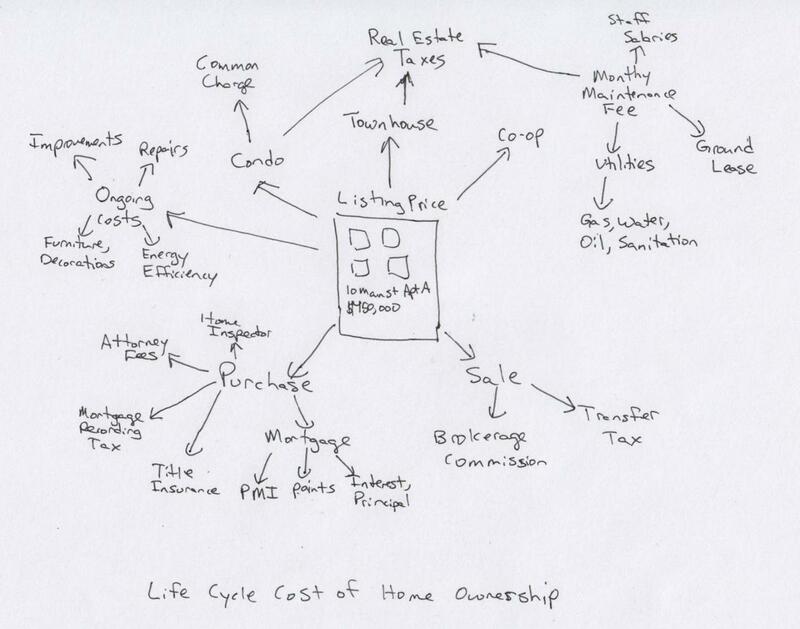 This approach can provide more value to readers than a field guide that tries (probably unsuccessfully) to explain every life cycle cost detail that potential homeowners are supposed to know. Such a guide could give a false sense of confidence and mislead people in some way. I don't want to do that. A better approach is to prime people with the right questions and motivate them to get answers. I don't want to intimidate anyone or overwhelm anyone with questions though. The right balance is to raise questions and show that help and support are both available to overcome the challenges. That's not the only relevant diagram though. 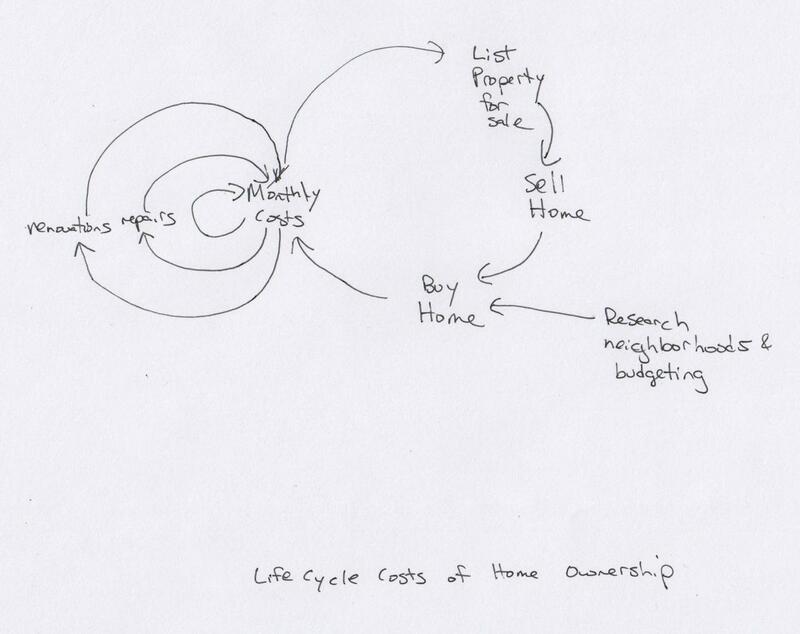 My topic is "Life Cycle Costs" so perhaps I could illustrate an actual cycle of some kind, showing the flow from one ownership step to another. I can also map out the human specialists a buyer would have to interact with, defining their roles and showing their relationships to each other. In my view the mind map is the most critical and should be central to the field guide. 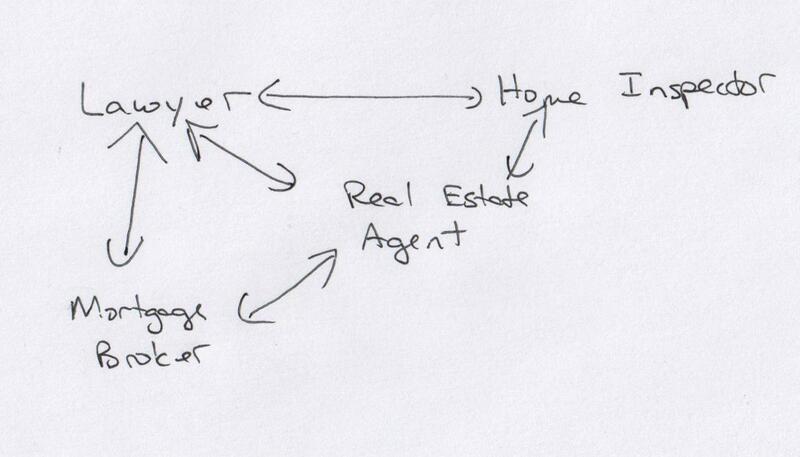 The other two diagrams are more auxiliary but might help potential buyers understand the process. Each of the above maps should have associated entries to provide more information. Ground Lease: Some coop buildings do not own the land they sit on and must pay a lease to the land owner. That lease will expire and be renewed one day, probably for a higher price that will impact owner monthly maintenance fees. Home Inspector: Before buying a home you need an expert to evaluate it for problems that you will not be able to identify yourself. Home inspectors can also provide information that you can use to help adjust the sale price in your favor. It might be interesting to color-code the above terms to link them to the human specialists buyers should seek out for more information. In the cycle diagram I would need to define the steps and what is supposed to happen in each. Are these self-explanatory from the labels themselves? No sense cluttering the field guide with redundant words. Some should be illuminated here or elsewhere in the field guide. And finally, the human specialists. A color or symbol coding system of some kind can link the topics in the mind map to the human specialists so readers know who to talk to about each. These entries could probably be improved somewhat. How about tips for selecting a good lawyer, mortgage broker, and real estate agent? I need to do more research to get more information on this.